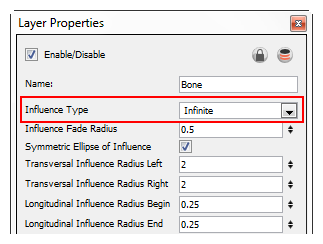 ‣ Elliptic Influence: The Zone of Influence boundary is defined by an elliptical shape whose size can be customized using the Bone, Articulation module properties or by using the Transform tool. 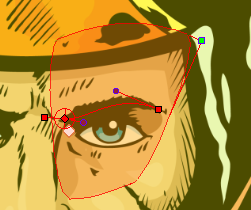 The Elliptic Influence will most likely be used on a bitmap picture you wish to deform. 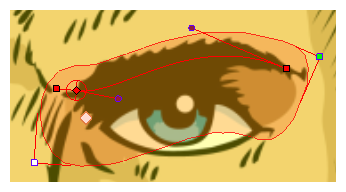 Note that this example also applies to the Bone and Articulation deformers.